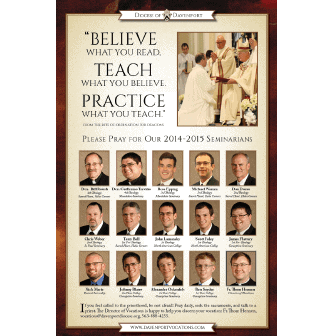 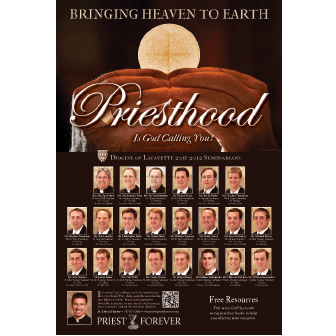 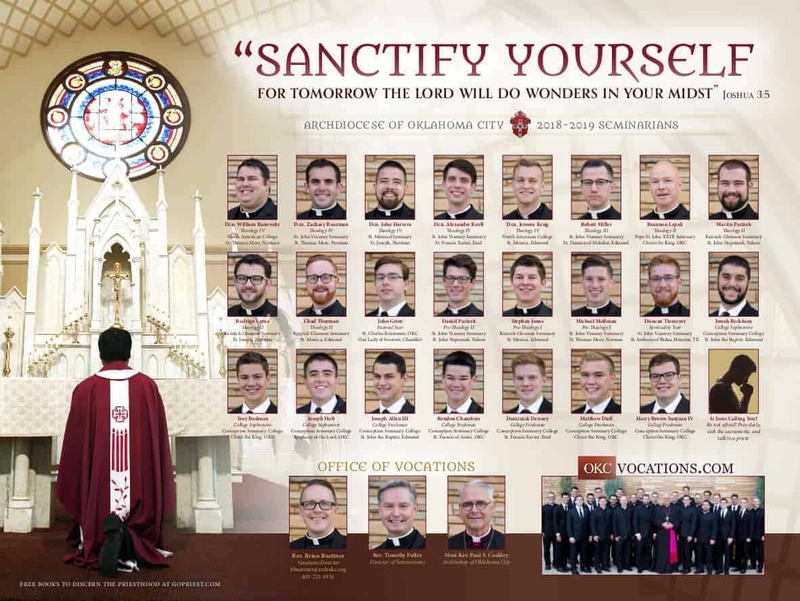 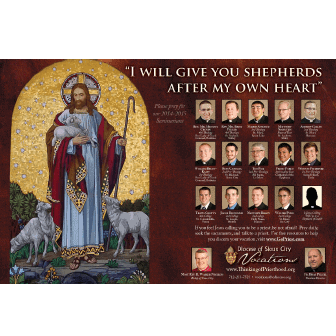 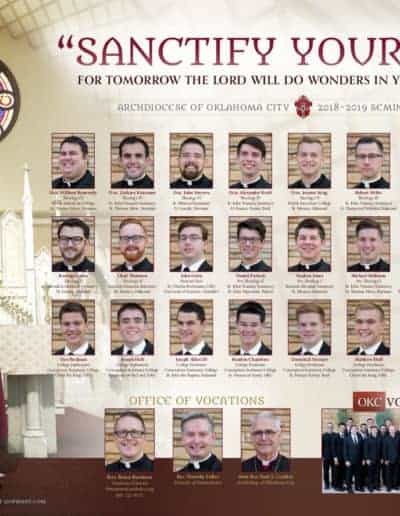 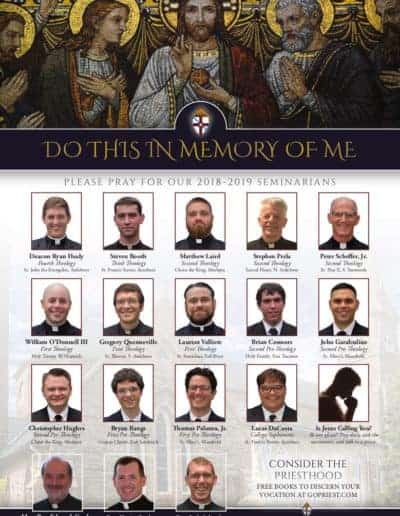 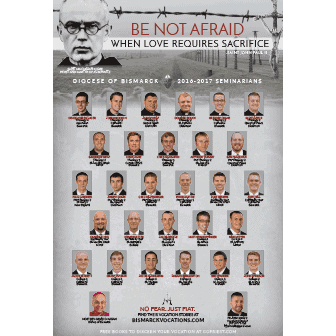 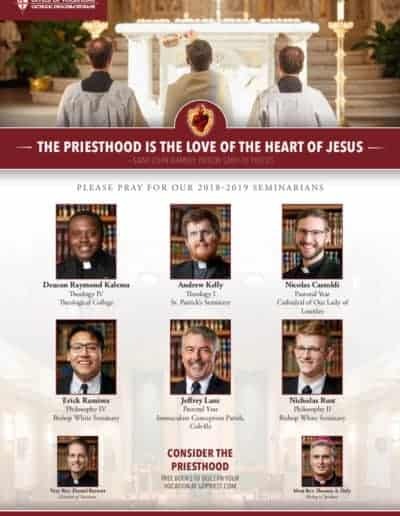 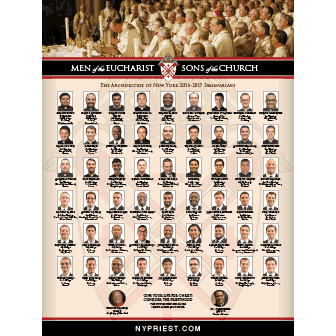 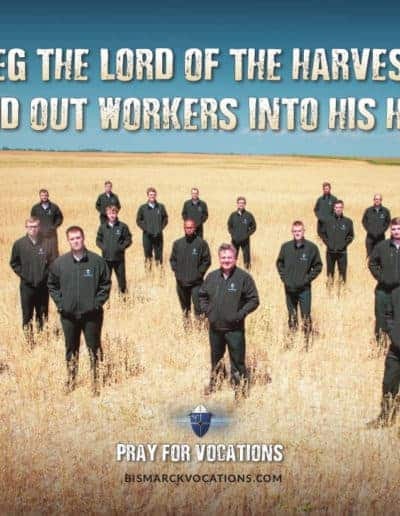 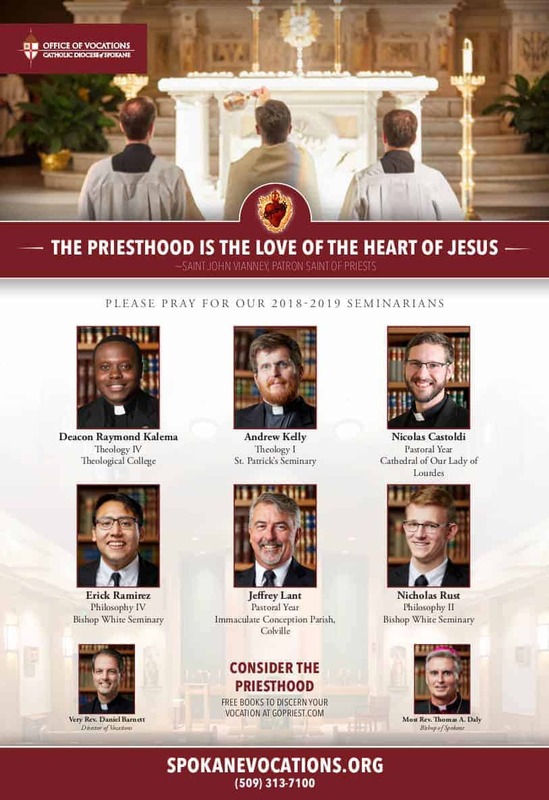 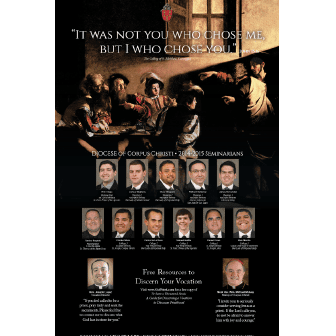 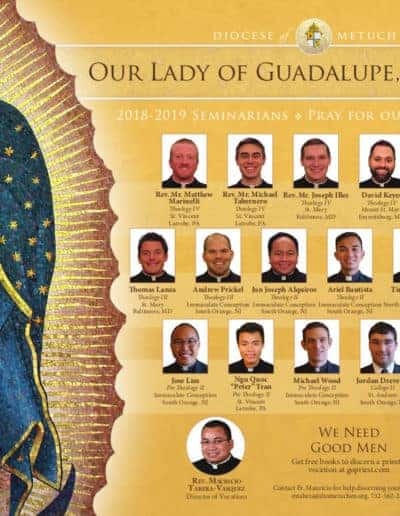 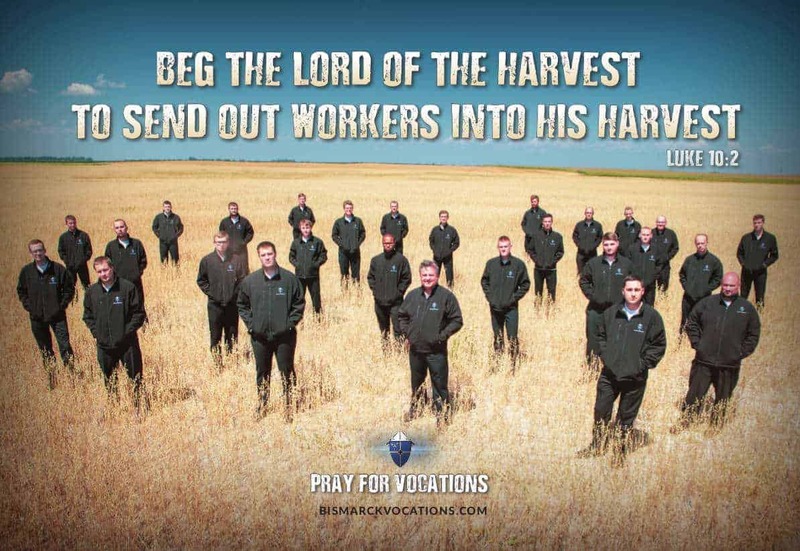 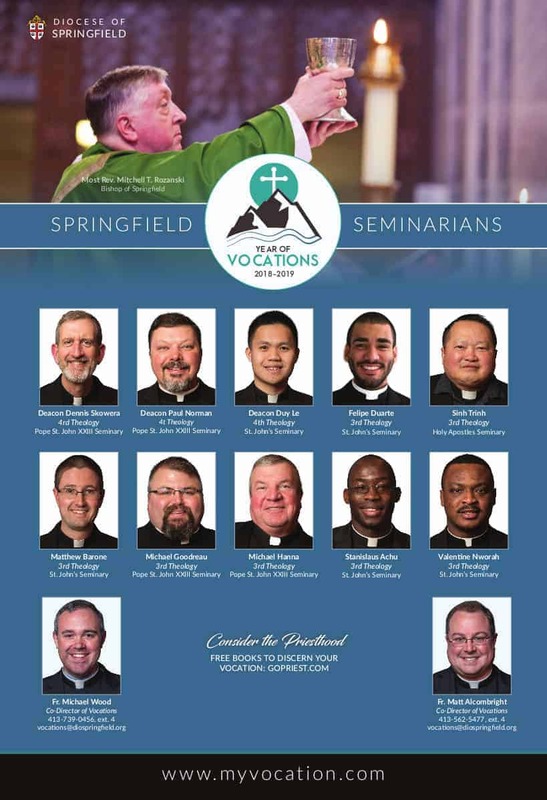 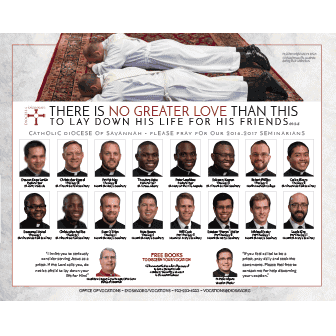 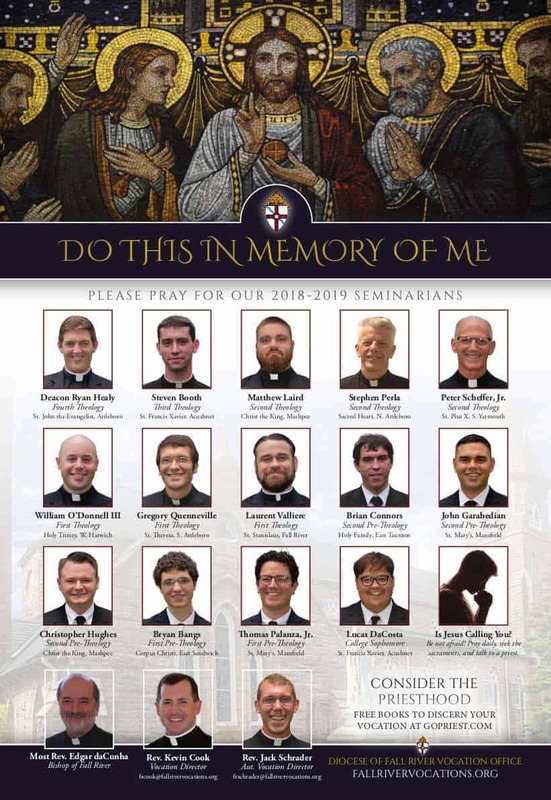 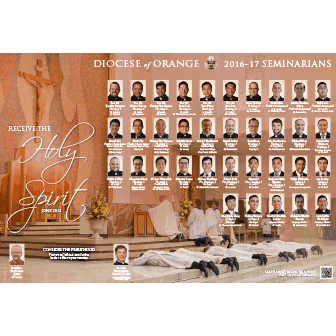 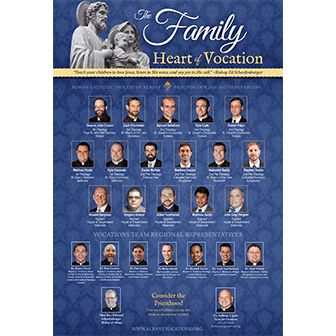 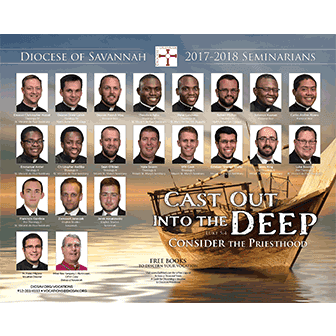 Our seminarian posters feature bold, priestly imagery, created by Catholic designers who know your audience. 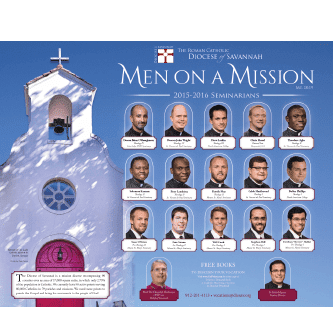 Each poster is customized with your theme, imagery, and diocesan information. 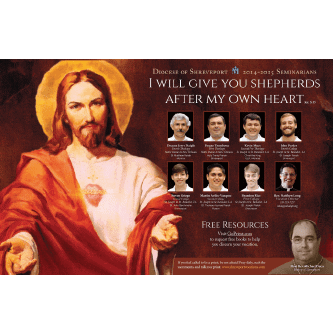 - Delivery to parishes and schools (if desired), with cover letter from you. 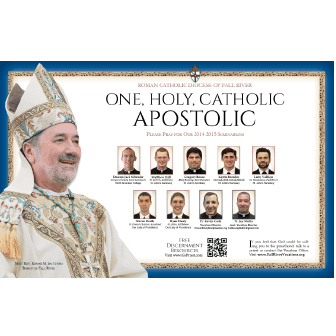 Affixed to your poster are small contact cards that direct candidates to visit www.gopriest.com, where they can request free copies of To Save a Thousand Souls and Is Jesus Calling You To Be a Catholic Priest? 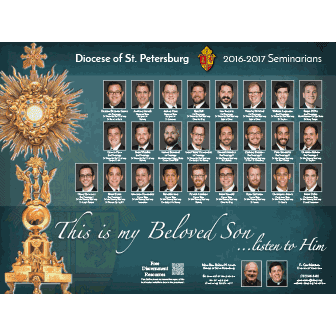 The Vocation Director immediately receives an email alert with the candidate’s contact information. 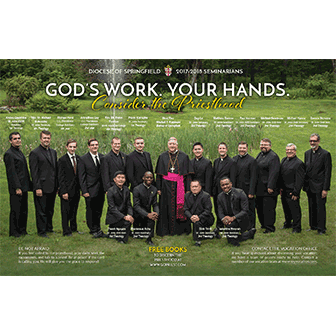 New feature: in Fall 2018 we'll be sending automatic follow-up emails to candidates with the Vocation Director's contact information, as well as general encouragement for his discernment. 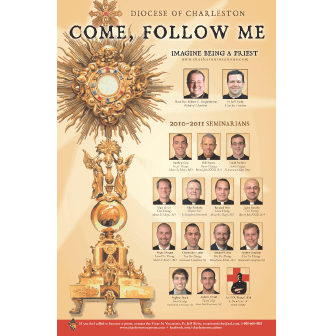 Here are a few of the posters we've designed. 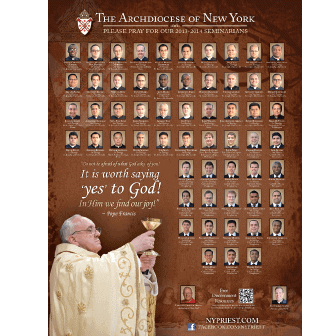 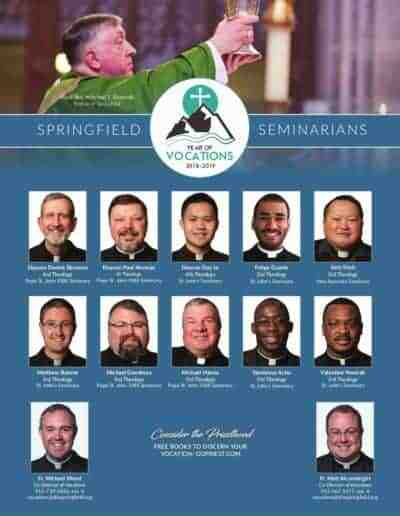 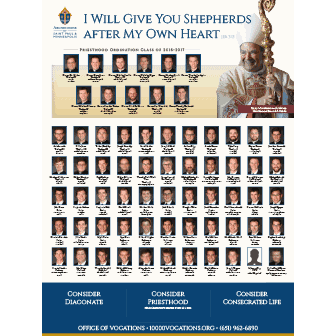 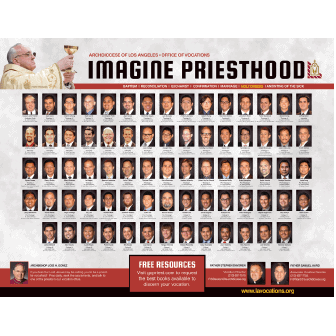 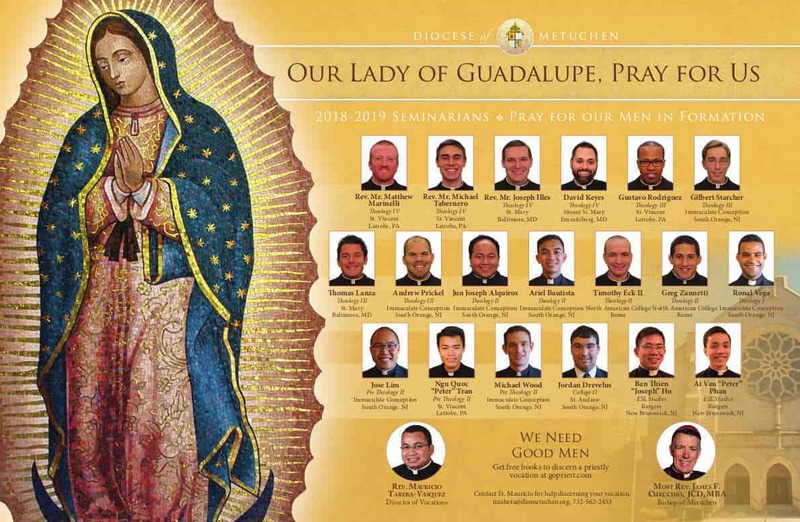 Each poster is custom designed for your diocese. 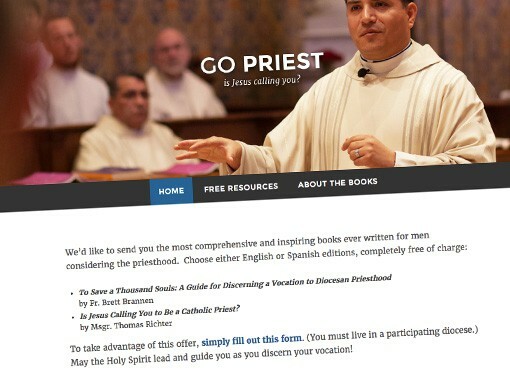 If you have a certain theme in mind, let us know and we'll run with it!